I have a hard time with green beans. They have so much potential, but many of the recipes I see out there are uninspiring. Hello, green bean casserole (gross). The best green beans I have are usually at restaurants – namely, Din Tai Fung. So simple, but they are just cooked and seasoned so perfectly and man…I think I could eat them everyday. When I found this recipe on What’s Gaby Cooking it was everything I wanted – simple, quick, easy, and looked damn near close to the deliciousness I have experienced while dining out. Aaand yep – no disappointments here! I threw this dish together in minutes and had it alongside a simple chicken stir fry. It’s addicting – but that’s ok because it’s guilt-free! 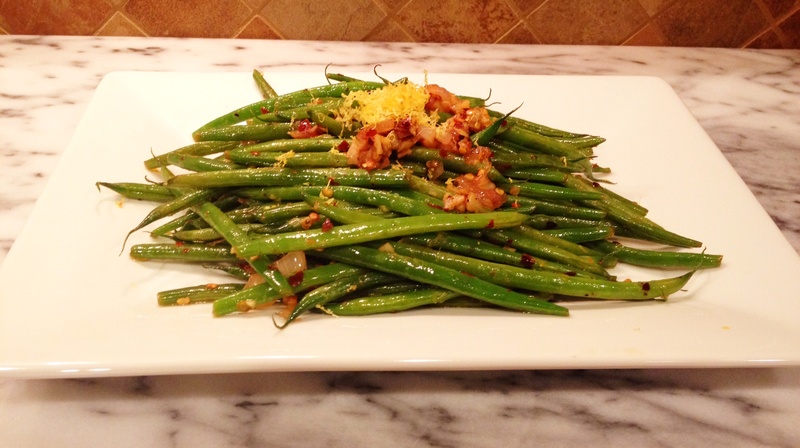 I really don’t know if I will ever make any other green bean dish again! Add the green beans and cook for 2 minutes. Drain the green beans and set aside. In a large heavy bottom skillet, heat the olive oil over medium high heat. Add the shallot, garlic and red pepper flakes and sauté for 2 minutes until the garlic becomes fragrant. Add the green beans and mix everything together, making sure the garlic and shallots are evenly distributed amongst the green beans. 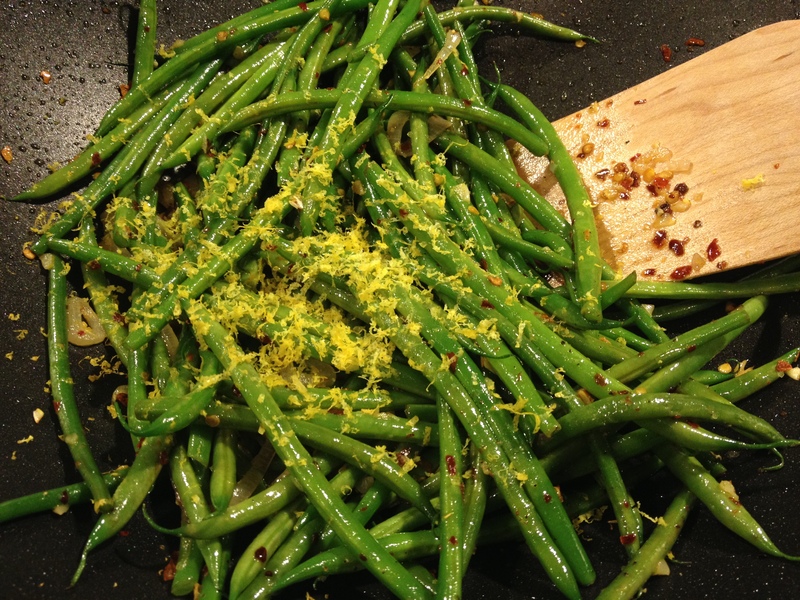 Squeeze lemon juice over green beans, season with salt and the lemon zest and serve immediately. Wow, looks delicious. I’ll have to give that a try tonight!